Watch the video below showing how the Mira-Pet works. Kills Bacteria – Mira-Pet’s air oscillations break up bacteria. Less bacteria means a healthier dog. Cleaner Gums And Less Bad Breath – Increases blood flow in your dog’s gums for faster healing and less bad breath. Cleans More – The Mira-Pet ultrasound toothbrush can clean where regular or electric toothbrushes can’t. Mira-Pet toothbrush is 100% safe and cleans without the risk of harming your dog at a small fraction of what it costs to have your dog’s teeth cleaned at the veterinarian. It is also safer for your dog since your dog won’t be receiving any anesthesia. The Mira-Pet kills bacteria and eliminates tartar formation. A clean mouth means no bad breath. There is no noise to frighten your dog, no vibration and no abrasiveness. Ultrasound is gentle air vibrations or oscillations. The Mira-Pet ultrasound toothbrush works at 60 million oscillations per minute. The Mira-Pet ultrasound toothbrush cleans the teeth’s surfaces and reaches deep into the gum pockets. It cleans where bristles cannot reach. Place 1/2″ of specially formulated Mira-Pet toothpaste gel onto the brush head. Distribute toothpaste onto the surfaces of your dog’s teeth. Gently place the brush head against your dog’s teeth without applying pressure for 3 seconds per position. Then move on to the next position and repeat until all areas are covered. Rinse, disinfect and run the brush head under water for 5 seconds before turning off. That is it. You should be able to clean your dog’s teeth in under 60 seconds. Over 80% of all dogs over 3 suffer from periodontitis which is an inflammation of the gums due to tarter build-up. Other than having your veterinarian clean your dog’s teeth, which means using anesthesia, you aren’t going to be able to effectively remove your dog’s tarter. Poor oral hygiene can lead to the damage of internal organs and reduces the quality of life for your dog. Proper care of your dog’s teeth is essential for keeping your dog healthy. Most dog owners don’t brush their dog’s teeth, aren’t able to do as often as they should, or do a good job of brushing their dogs teeth. The ultrasound toothbrush is going to make the job of keeping your dog’s teeth clean so much easier, take less time, and once you have your dog’s teeth and gums healthy, you will only need to do it once a week. Also, your dog isn’t going to mind it as much as regular brushing. Overbrushing is a cause for wearing down the enamel on your dog’s teeth and giving them irritated gums. Mira-Pet toothpaste is made without any abrasive particles. It instead is made with billions of microscopic nano bubbles. These nano bubbles are about 150 times thinner than human hair, that can get into even the smallest crevices. One Mira-Pet ultrasound toothbrush for dogs. Two single brush heads which work best for smaller dogs. One 3-sided brush head which works best for medium and large dogs. USB cable for charging of toothbrush. One tube of Mira-Pet toothpaste. Mira-Pet starter kit comes with one tube of special ultrasonic non-abrasive toothpaste. It is estimated that you will need approximately 3 tubes for 1 dog for an entire year. You can order 3 tubes for around $30. The Mira-Pet toothbrush will work with any dog toothpaste, but the results might slightly vary from using different toothpaste. Brush heads last for approximately 30 brushes, and should be replaced when bristles become worn or bent over. Replacement heads are available for purchase as well. This product comes with a two-year warranty, but you can purchase an additional year. The estimated life of the Mira-Pet is 5+ years. This product was developed and manufactured in Germany. I know I really hate brushing my dog’s teeth, and I don’t do a very good job at, nor do I do it often enough. I also am not a big fan of dropping my dog off at the veterinarian’s office for half a day or possibly for the entire day. I don’t like him being put under with anesthesia, and I surely don’t like the big price tag that comes with having my dog’s teeth cleaned at the veterinarian. I do like that I know I am doing everything to keep my dog healthy, and having a dog with fresh breath instead of that nasty smelling breath a dog can get from not keeping the dog’s teeth clean is a real positive. Using an ultrasound toothbrush for dogs is the easiest way to make sure you are getting your dog’s teeth clean. It will give you the best clean from home you can get on your dog’s teeth. It is quick at only 60 seconds each week, and it is very affordable when you compare it to what it costs at the veterinarian’s office to have your dog’s teeth cleaned. I believe my Mira-Pet ultrasound toothbrush review will help you see the benefits of this product, and why I highly recommend using an ultrasound toothbrush for your dog. You should still have your veterinarian look over your dog’s teeth when you go for your yearly wellness exams, but with regular use of this ultrasound toothbrush, no longer will you have your veterinarian trying to get you to schedule a teeth cleaning for your dog. Currently this ultrasound toothbrush is not available for cats. They are working on a model for cats, but the current heads are too big and bulky to work in a cat’s mouth, so please don’t try using it on your cat. If you have any questions or comments, please leave them below, and I will get back to you. 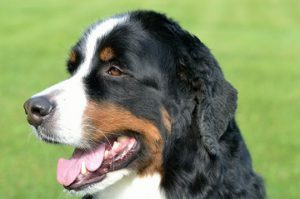 You can follow justforyourdog.com on Pinterest, FaceBook or Twitter for all the latest updates for your dog. Thanks for your comprehensive review on this toothbrush. I have a cat and was wondering if they have a version that is suitable for cats? I have noticed they have the normal toothbrush, but can’t seem to find an ultrasound version that is suitable for cats. As you say in this review I can see how using this type of toothbrush will be much easier and do a better job than the normal toothbrush. John, I am sorry to say, that at this point, they do not have the Mira-Pet ultrasound toothbrush available for cats. It is something they are working on, but the current small heads that they have for smaller dogs is too large and heavy to use in a cat’s mouth. Hopefully in the new future, they will have one available for cats, since they need dental care just as much as dogs. Hi, this is something I have never heard of. We have a little Chihuahua dog and my wife is crazy about it. She never cleaned her teeth before though and the smelly breath is sometimes disturbing for me due to the dog being in our bed sometimes too. I think the Mira-Pet ultrasound toothbrush will make a great present for my wife that also makes me happy as well as the little friend of course. Stefan, I am sure your wife will love the gift, since it sounds like your dog is pretty special to you and your wife. Anything we can do to keep them healthy and with us longer is a real plus, and the ultrasound toothbrush will make keeping your dog healthy much easier than using a regular toothbrush. Not having the sticky breath is also a real bonus. I hope your wife loves her new gift. Let me know what you think of the product once you have had a chance to try it out. Hi Marla, Thank you for sharing this information. I know it will help many people like me that have a dog and have no idea that dog’s teeth needs to be cleaned too. I will give it try I have not clean my dogs teeths ever and I am sure it will be a great thing for him. Thank again this is a great information fro me and my dog. Urbano, thanks for reading and I’m am glad you have found some useful information that will help you keep your dog more healthy. When starting out to brush your dog’s teeth, I suggest going slow for they to get accustom to what you are doing. Let your dog smell everything before you get started, and don’t worry about if your are able to do your dog’s entire mouth the first time you try it. Give your dog a treat when you finish, so they start realizing that there is award that comes with this process. It can be a real struggle getting your dog’s teeth brushed, that is why I was excited about the ultrasound toothbrush. It makes the process of cleaning your dog’s teeth more easy and it takes a lot less time. It also does a much better job than a regular toothbrush. Good luck with your first brushing. Thanks for introducing the Mira-pet ultrasound toothbrush and the functions it performs! Kudos! Wow, it’s so awesome to learn about the kind of toothbrush that removes bacteria and cleanses the dog’s teeth. I am about to start keeping a dog but haven’t ever been told by the seller that I’d need to be brushing for the dog may be on an everyday basis or however. Thanks for keeping me informed and getting me ready to keep a dog the right way. I also know many people who don’t have a brush at all for their dogs let alone brushing with toothpaste. Can you kindly clarify what is meant by putting a dog under with anesthesia? Can I just learn about this a bit more? I didn’t understand anything related to that term. Thanks for being so helpful! Israel thanks for reading and I wish you much success and happiness with this new dog that you are getting. I do strongly recommend that you start brushing your dog’s teeth right away. Any method that you use will be beneficial for your dog, but the ultrasound toothbrush will do a better job, take less time and is easier that a regular toothbrush. Putting a dog under with anesthesia is when a dog or person would be having surgery. It is the drug that they would give to put you in a sound sleep so you would feel what is happening and wouldn’t be moving during the surgery. 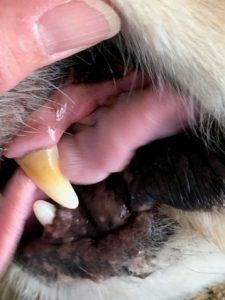 When a vet cleans your dog’s teeth, they use anesthesia to put your dog into a peaceful resting condition, so they don’t move or risk getting bit. The dog’s will wake up a few hours after the surgery. They will remain sleepy most of the day after. There is always the risk that a dog won’t wake up from the anesthesia. Hello and thank you for this wonderful article. I really enjoyed reading it. I never used ultrasonic toothbrush for my dog, but you got me really interested. I love the two year guarantee they give on this ultrasonic toothbrush. That really means they believe in their product. It is definitely more benefitial then chewing dog cleaners/brushes. The price is maybe a bit higher then I am willing to pay so I am going to check for alternatives. Thanks for reading Strahinja. I know the price seems a bit steep, but when you compare it to the price you would have to pay your vet to clean your teeth, it is such a great savings. It will cost approximately $300 to have your vet clean your dog’s teeth, and the risk of anesthesia is always a concern. From that standpoint along with the little amount of time that you will have to spend brushing your dog’s teeth, I feel that the benefits of a ultrasound toothbrush outweigh the cost. Please let me know what other alternatives that you find that can produce these results. I would love to take a look at it. My cavalier is two years old and already has plaques. I just got 3 estimates for the vet to clean his teeth. If I use your product will it only be preventing further plaques or will it take existing plaque off? This product will help for both. It will help your dog from getting additional plaque and it will also remove the plaque that your dog has. But the sooner you get them cleaned, either from your vet or from using a Mira-pet ultrasound the easier it will be to remove. If you decide to go with the Mira-pet ultrasound toothbrush, you will need to do it more frequently until you get the plaque removed. After the plaque is removed, you should be fine using it once to twice a week.